Commander Eric Tufnell RN (1888-1979). 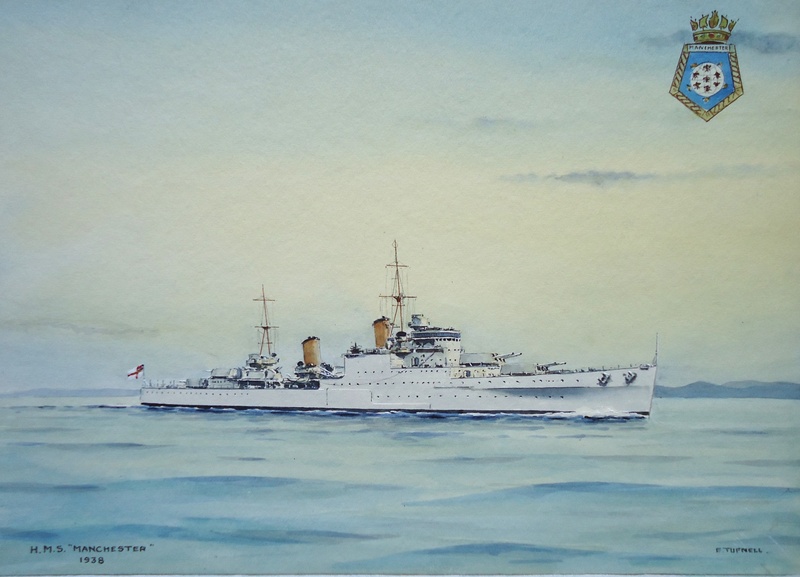 Watercolour signed and dated 1938 and with ship's crest upper right. The 6 inch gun light cruiser HMS MANCHESTER (Captain H H Bousfield RN) in the livery of the East Indies Station - white hull with buff funnels and masts.